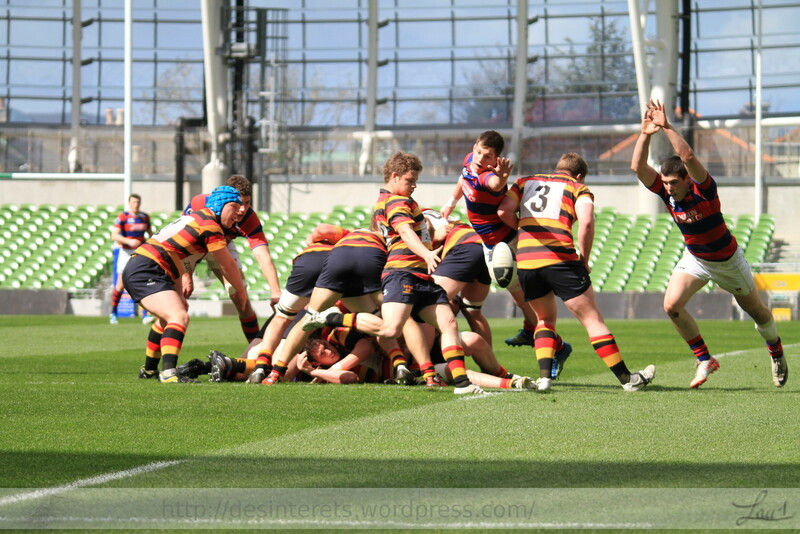 A very hard game against St-Mary J5 that had to go to extra time to find a winner. 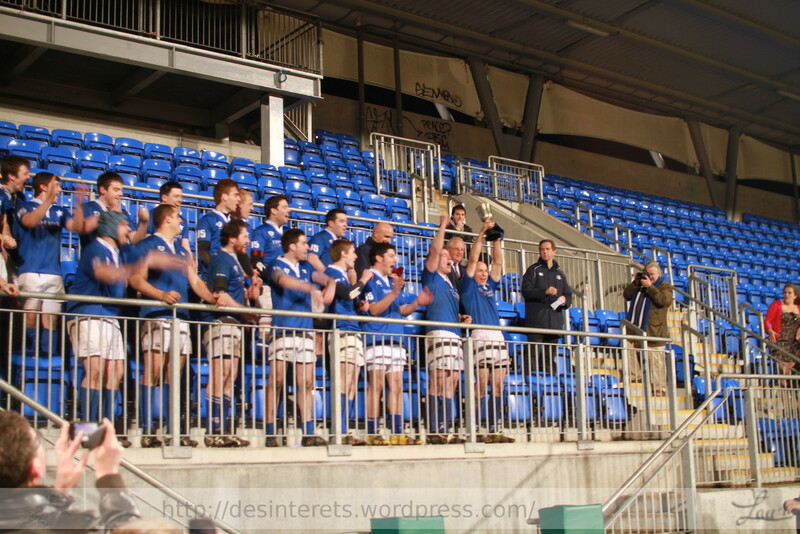 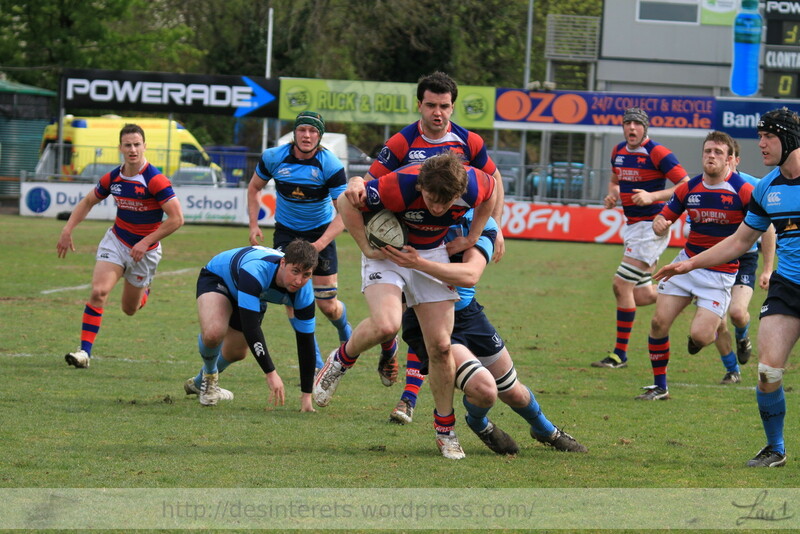 A visit to Donnybrook to Support the J1 in the Final. 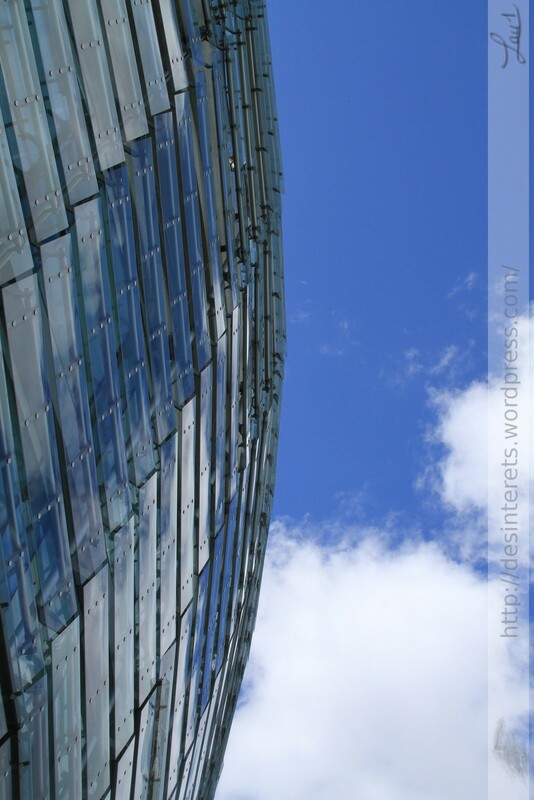 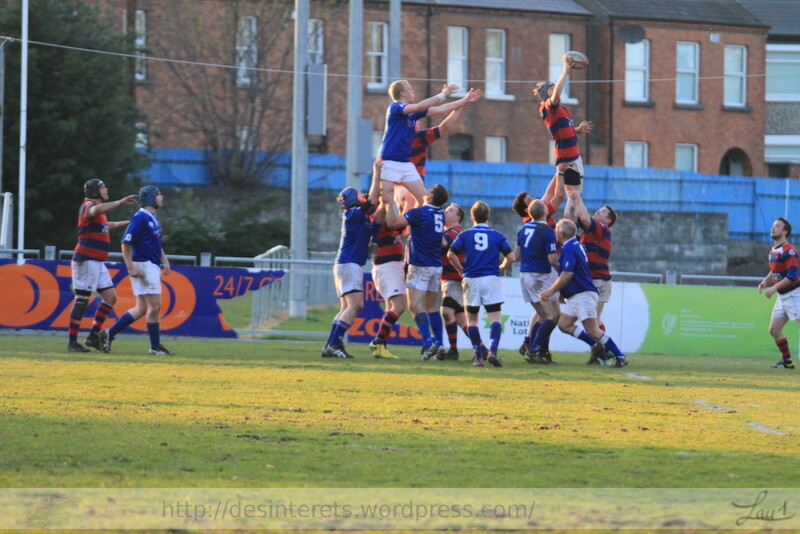 It’s the end of the rugby season in Ireland. 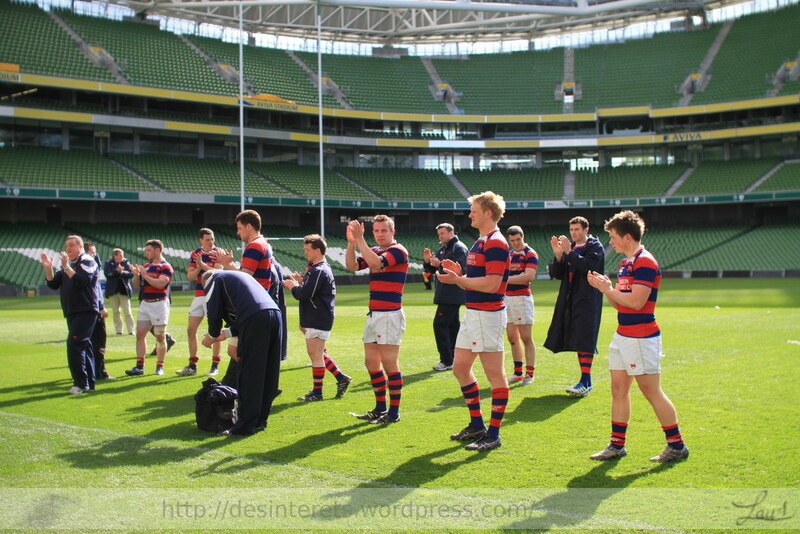 So a time of congratulations, commiserations and thank You’s. 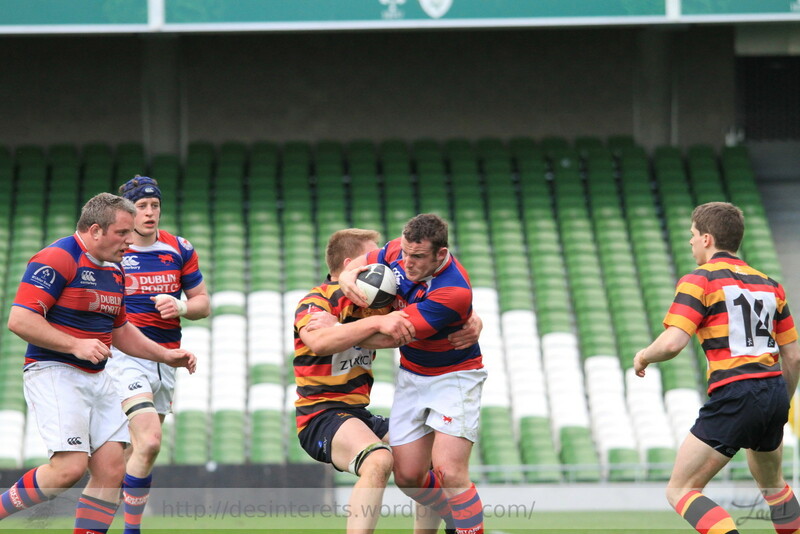 Congratulations To St Mary on winning the All Ireland league. 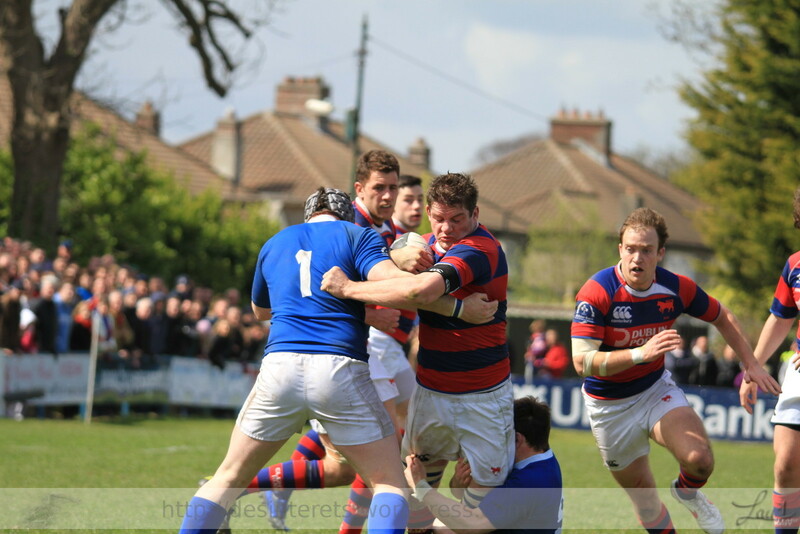 Thank you to all the Clontarf Players for a very good season. 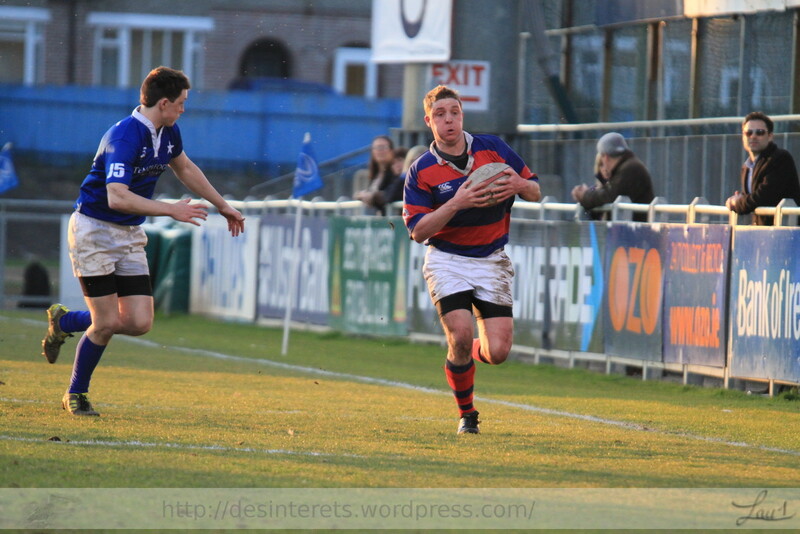 Also hopefully will improve on this year result next season. 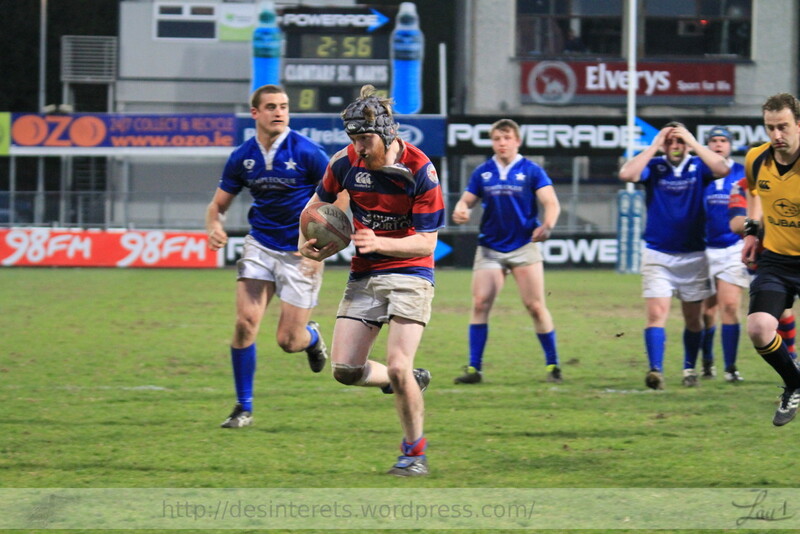 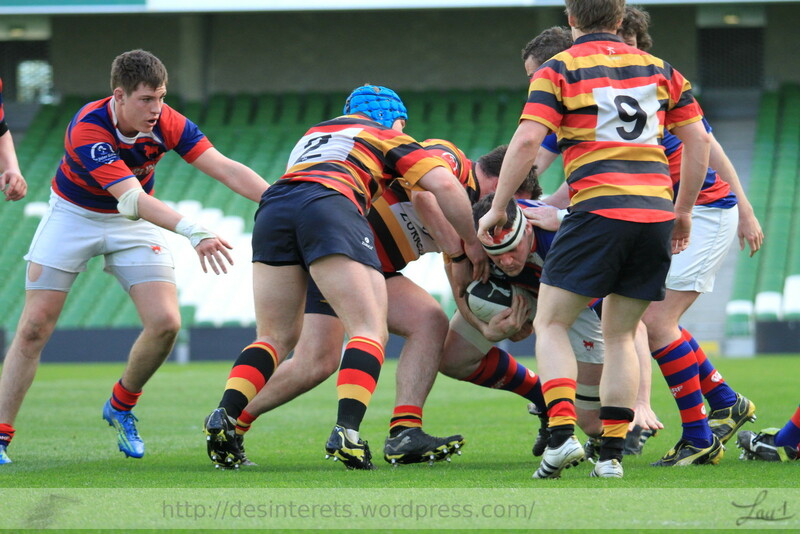 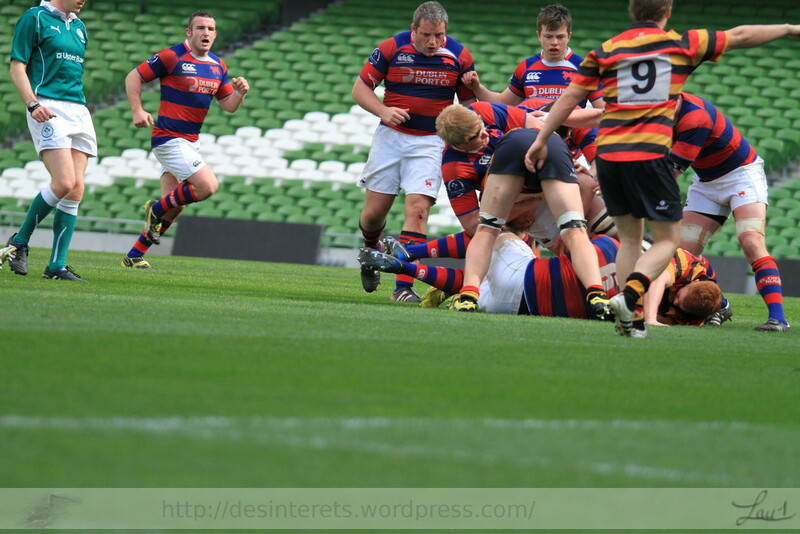 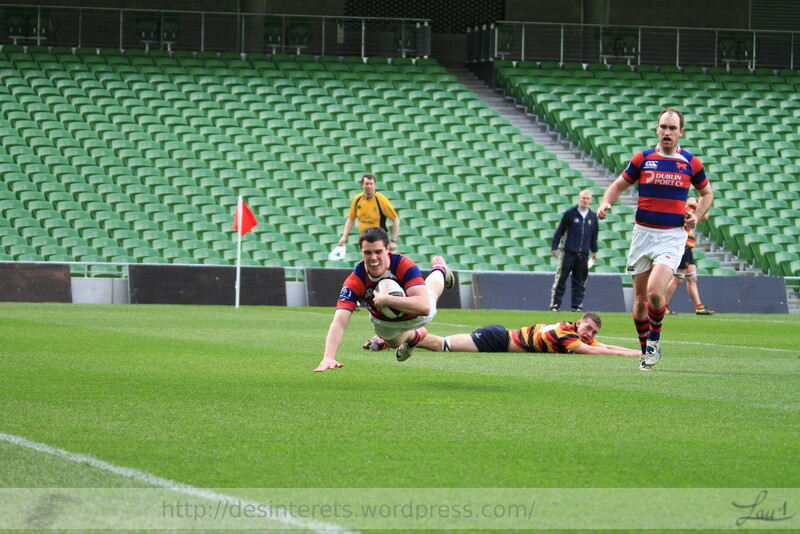 Thanks to Lansdowne for Hosting the game on the main pitch in Lansdowne Road. 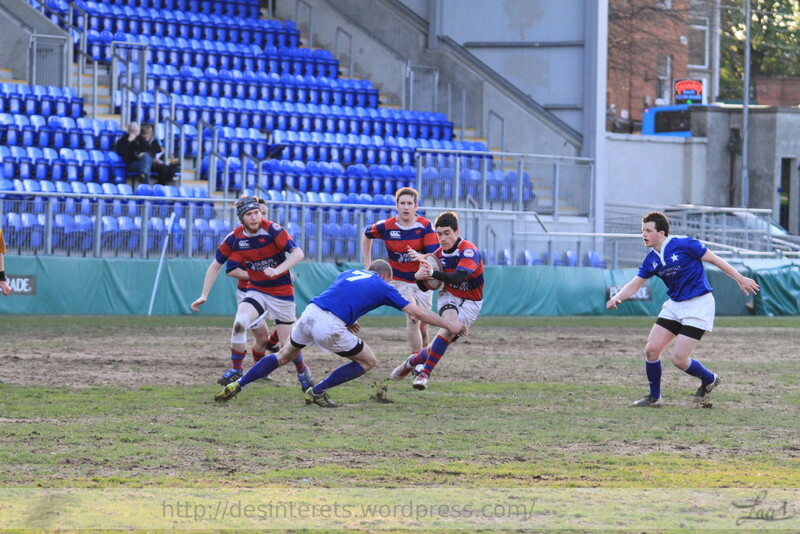 After an early charge from the visitors Lansdowne took the game in charge and scored 3 good tries. 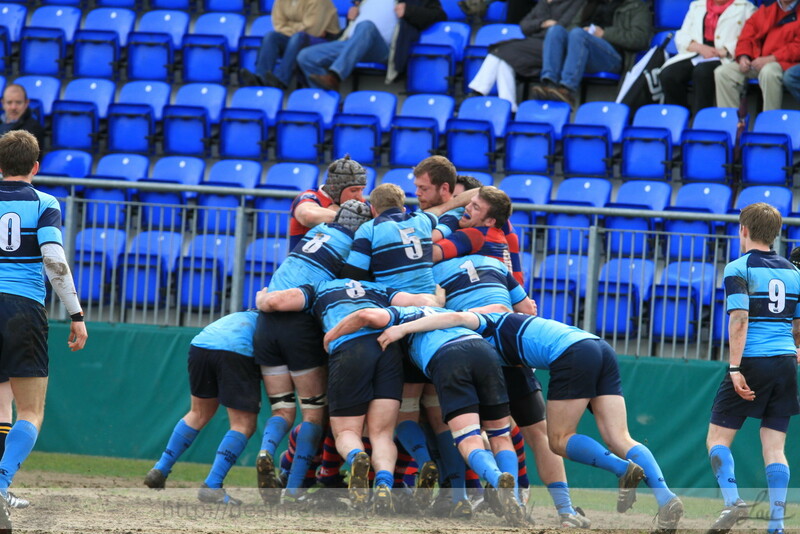 to lead 20 -3 just before half time. 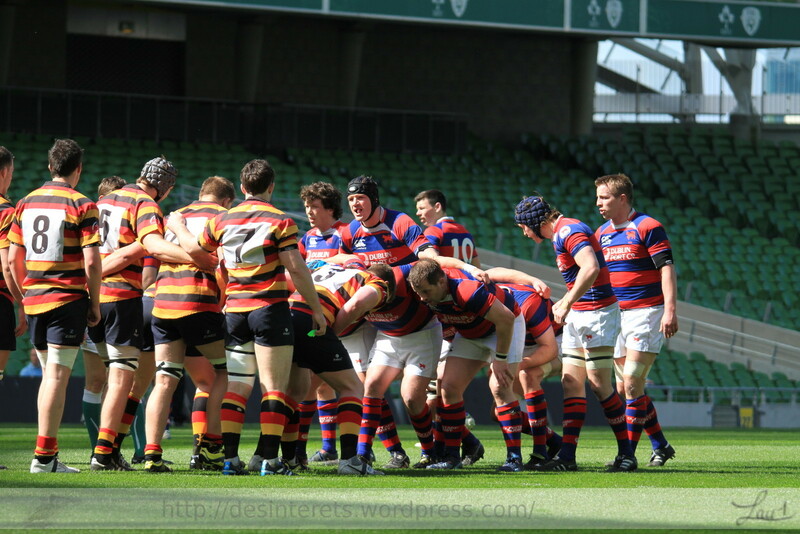 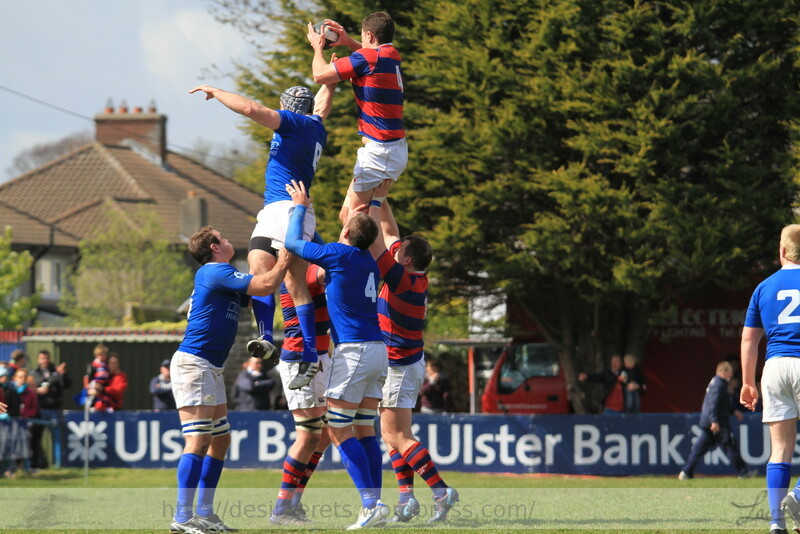 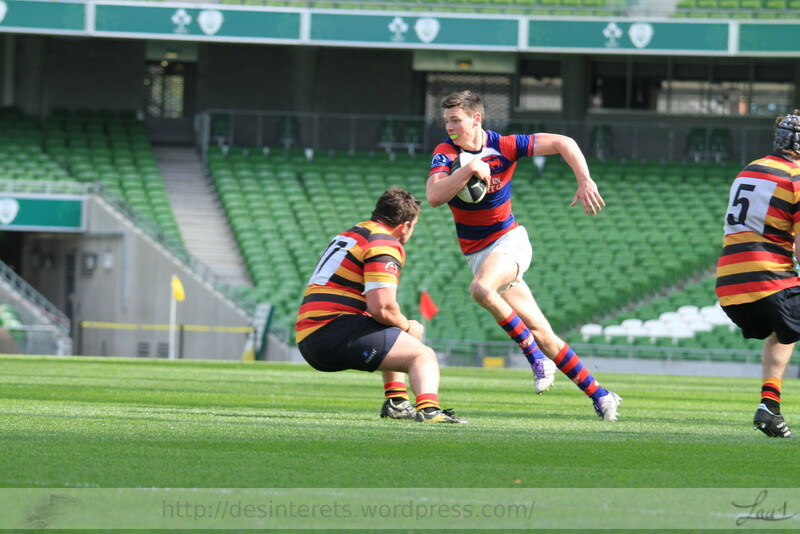 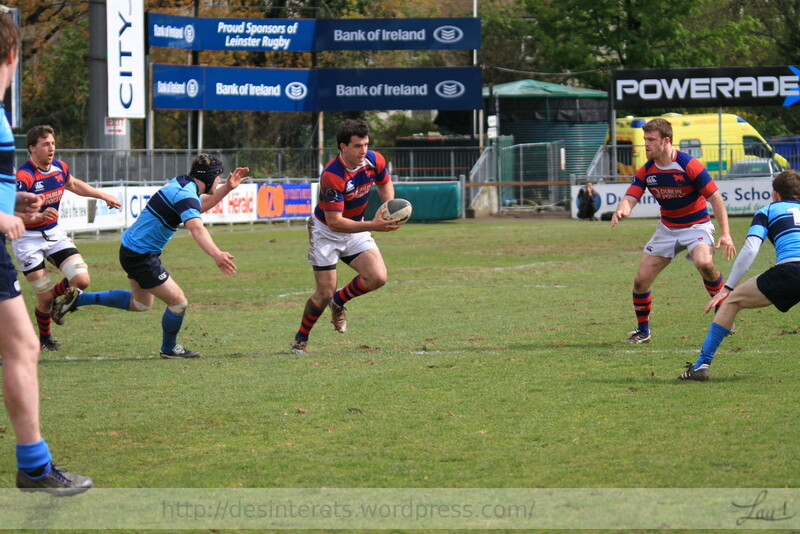 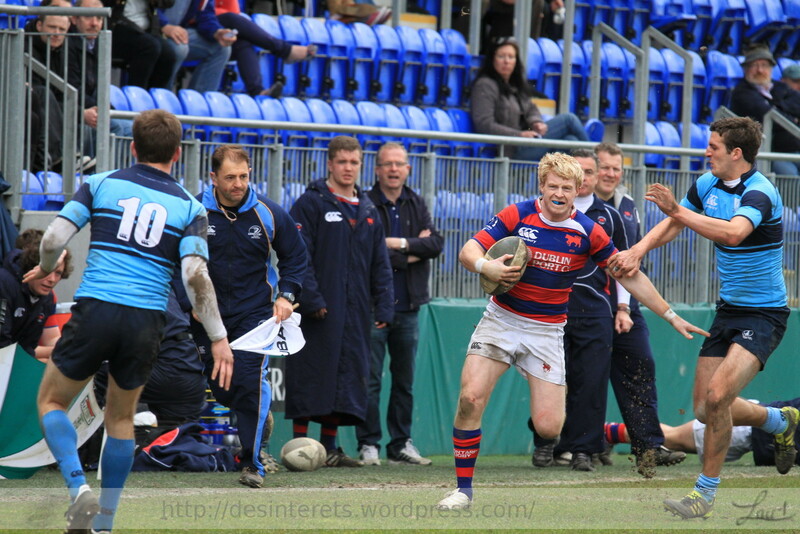 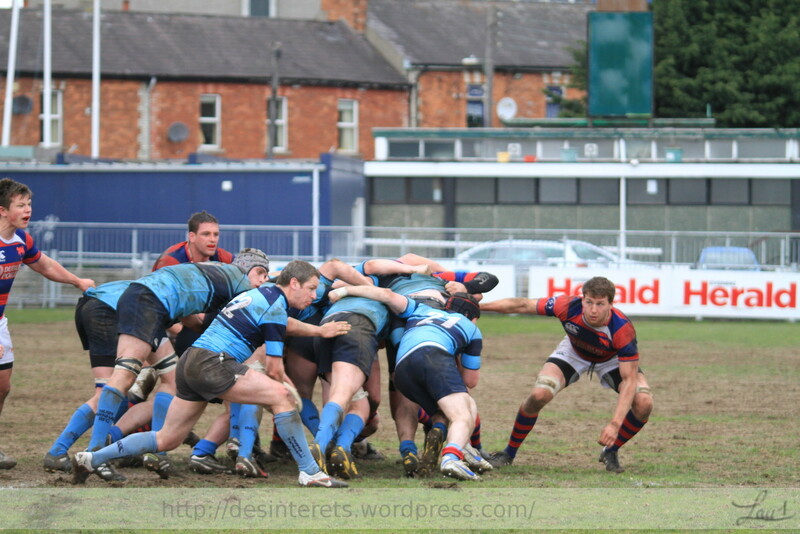 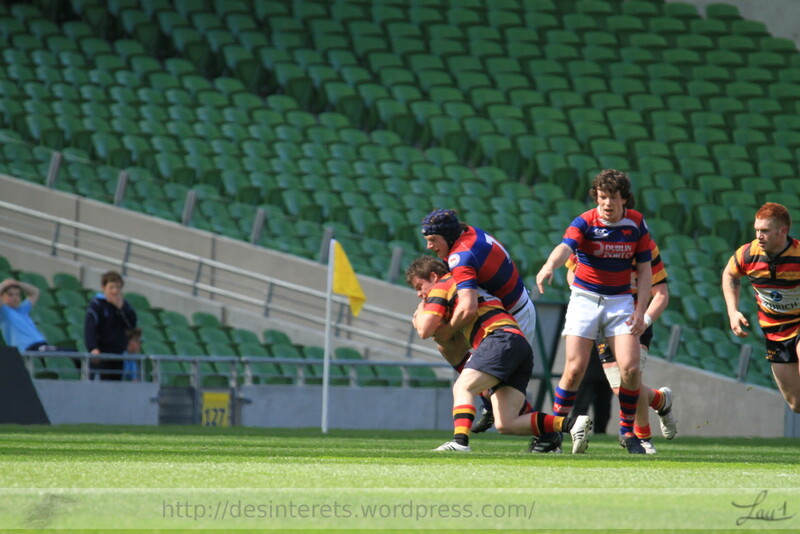 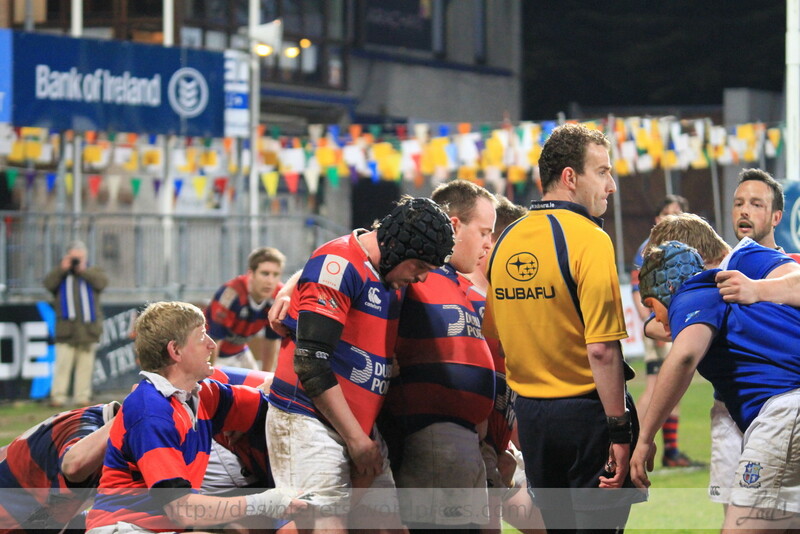 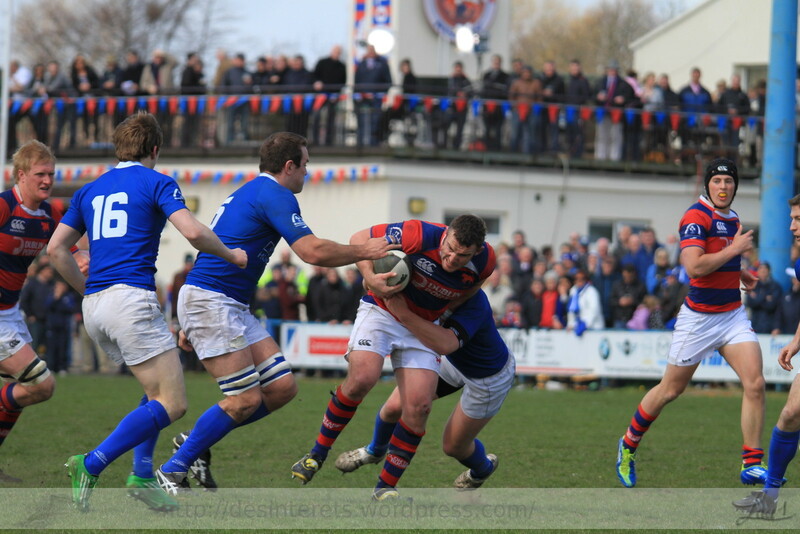 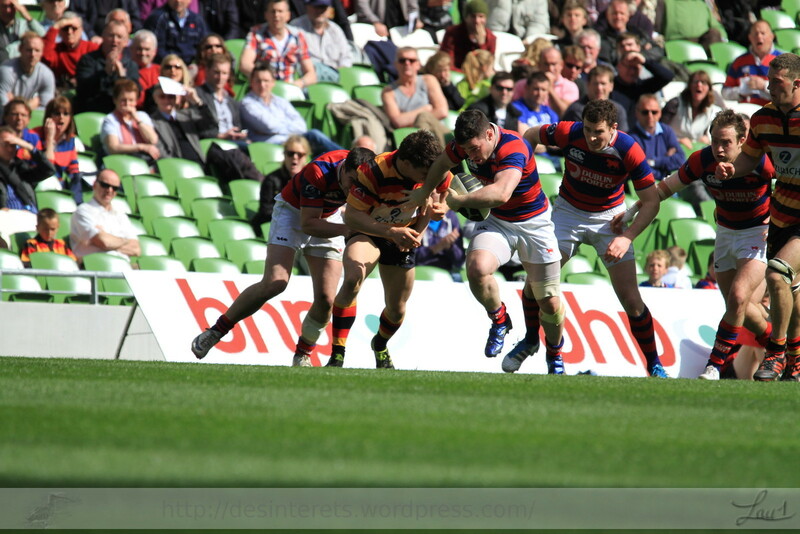 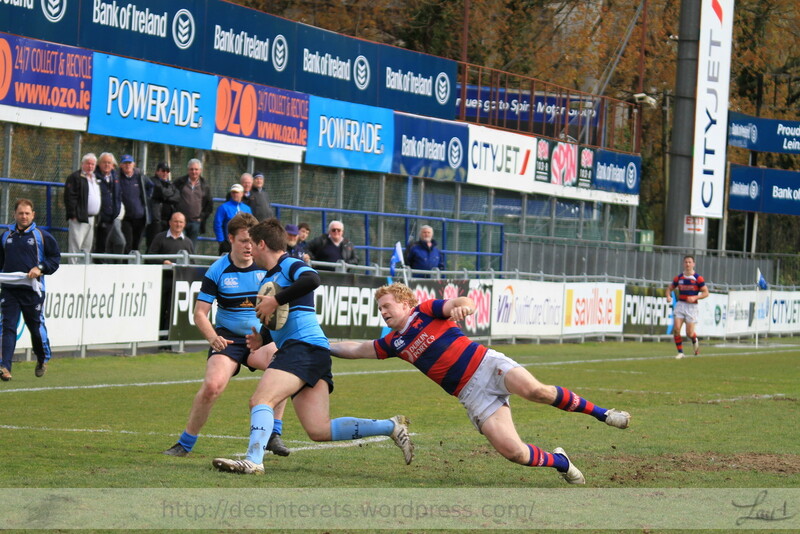 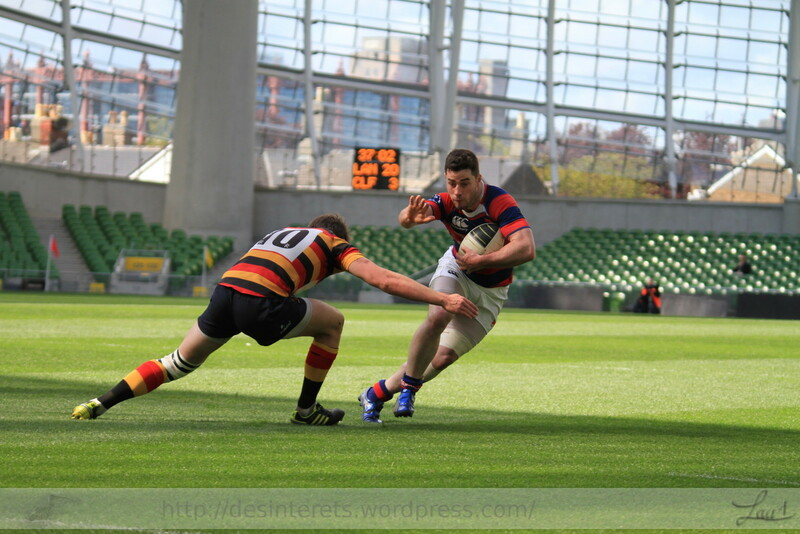 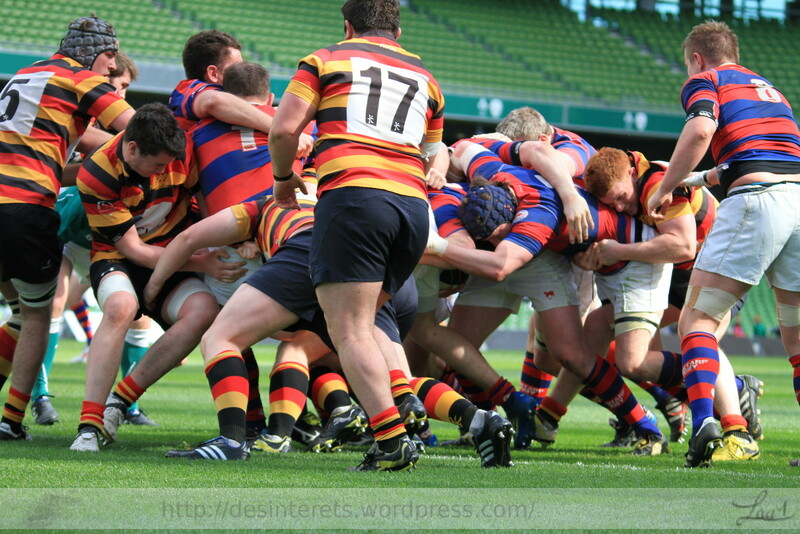 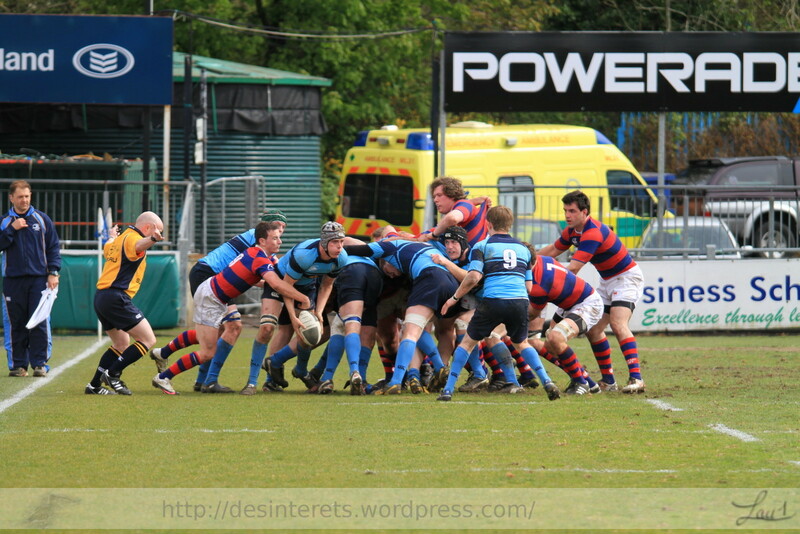 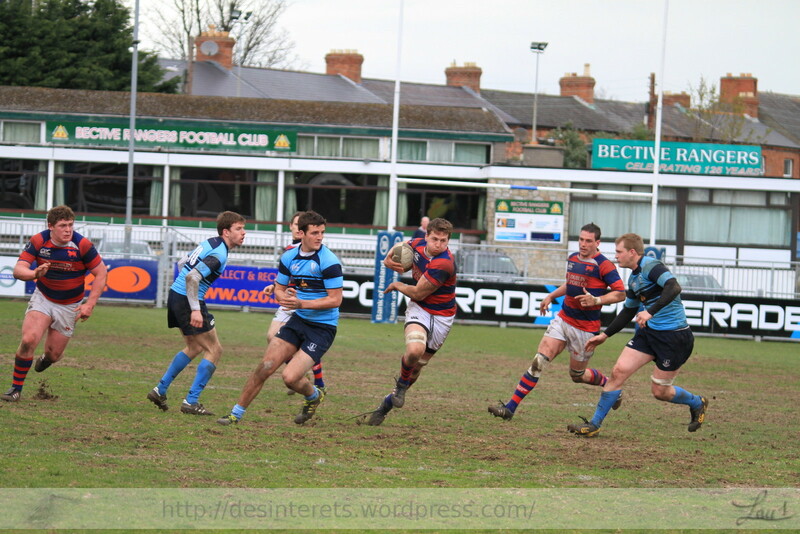 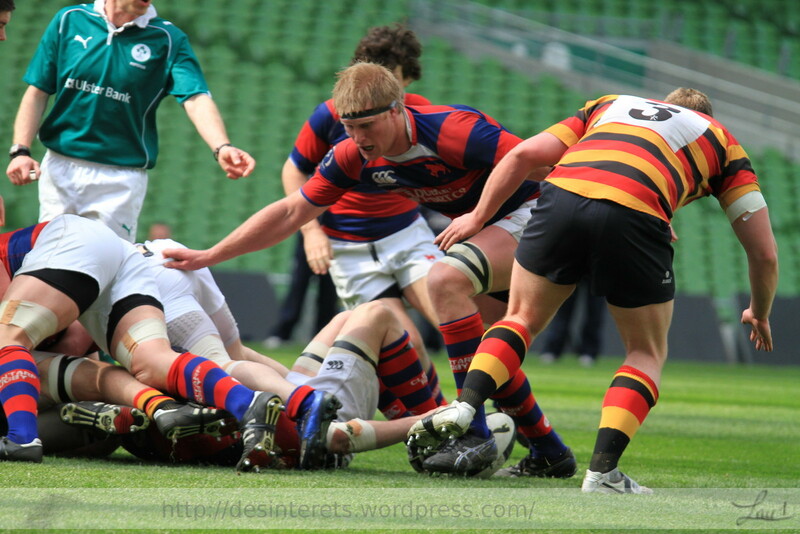 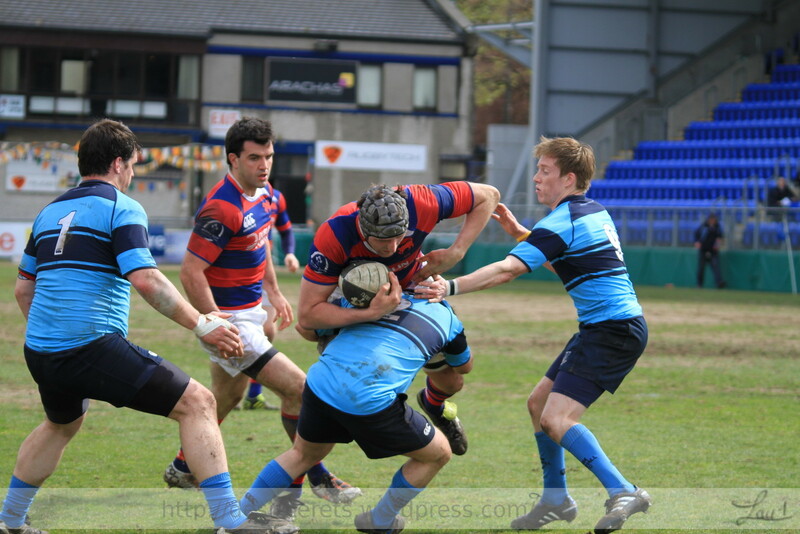 The hosts looked in charge, when pushed on by the many Clontarf supporters the visitor surged forward and started settling in the Lansdowne 22. 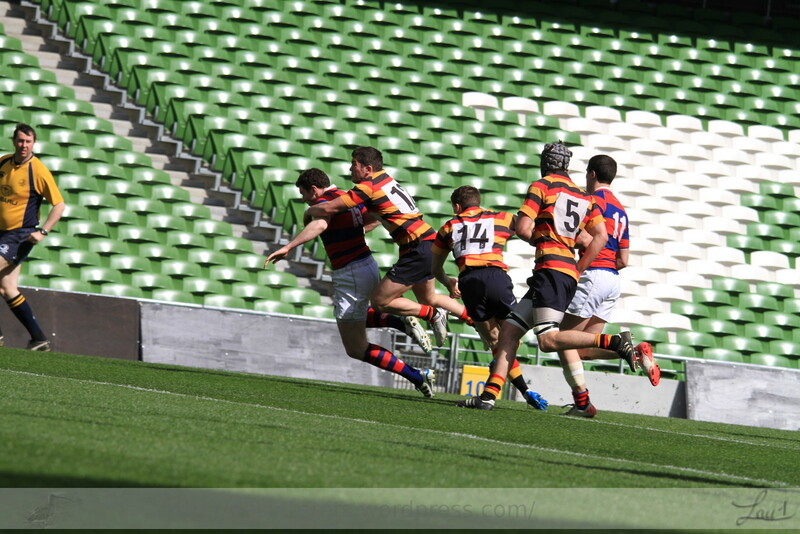 This lead to a Yellow card to a Lansdowne player killing the ball too close to his line. 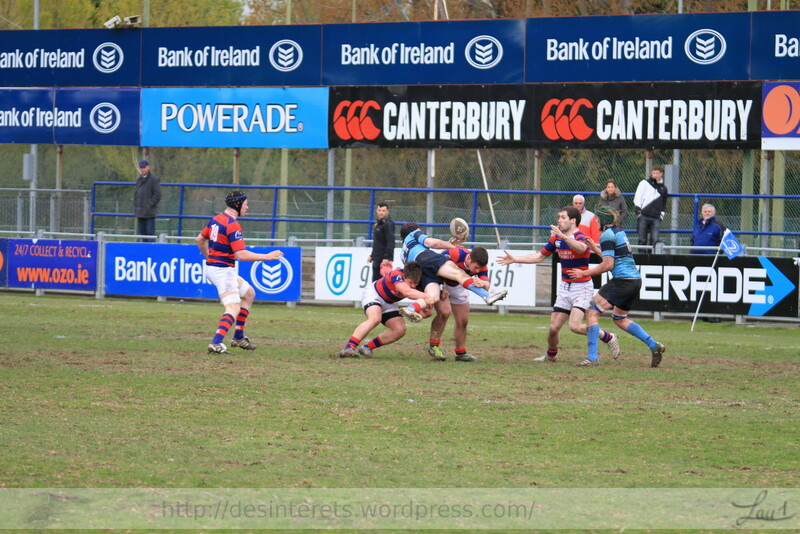 Clontarf capitalised to reduce the score right before half time. 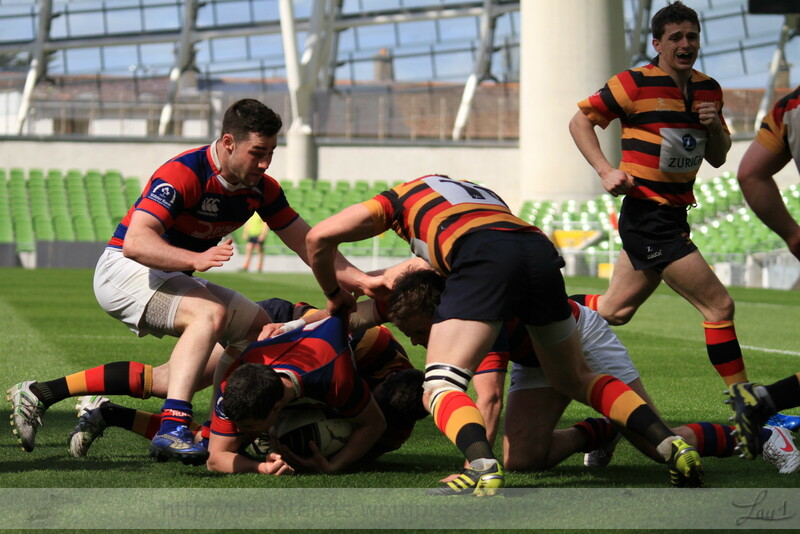 The second half saw Clontarf make up for the deficit with two other tries, then a critical lapse of concentration saw Lansdowne get back in Front. 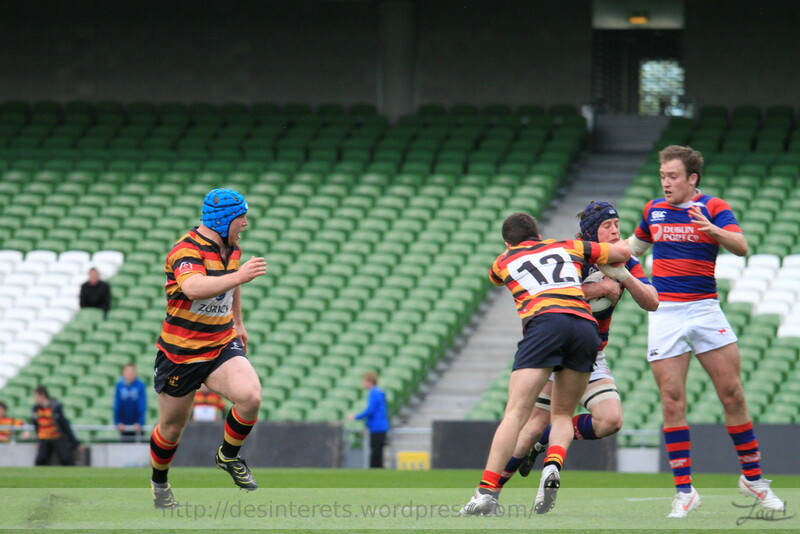 The visitors marched their way back upfield and Managed to get ahead by the slimmest of margins. 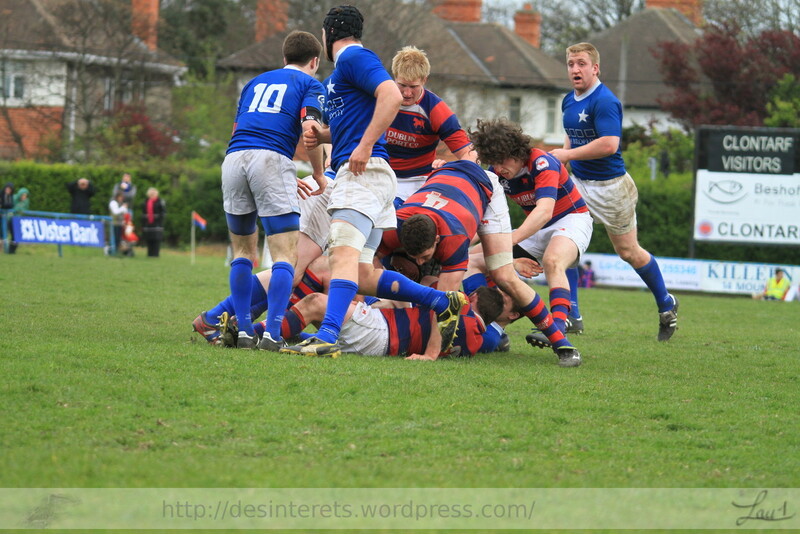 They then grimly held on to win the game. 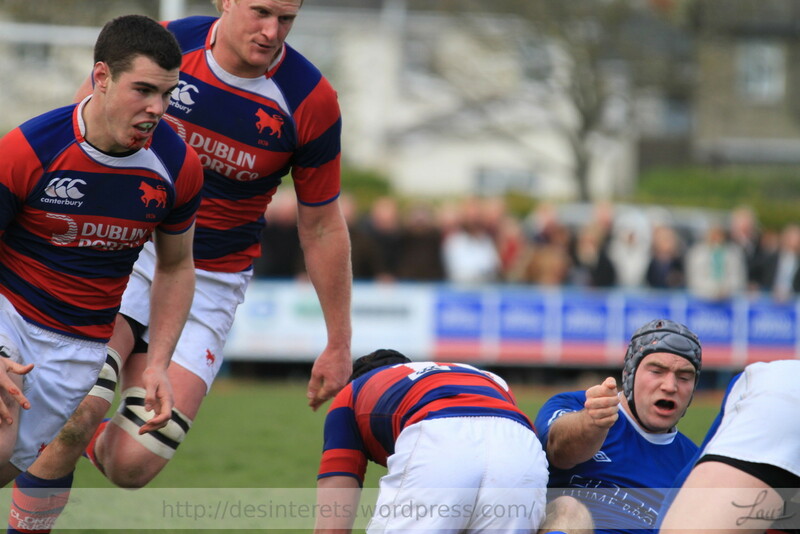 In Templeville Road St Mary was then being lead by Young Munster. 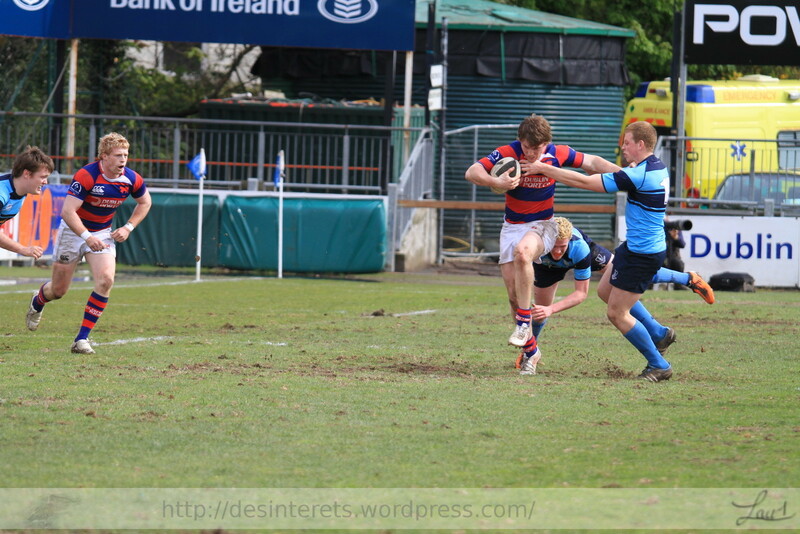 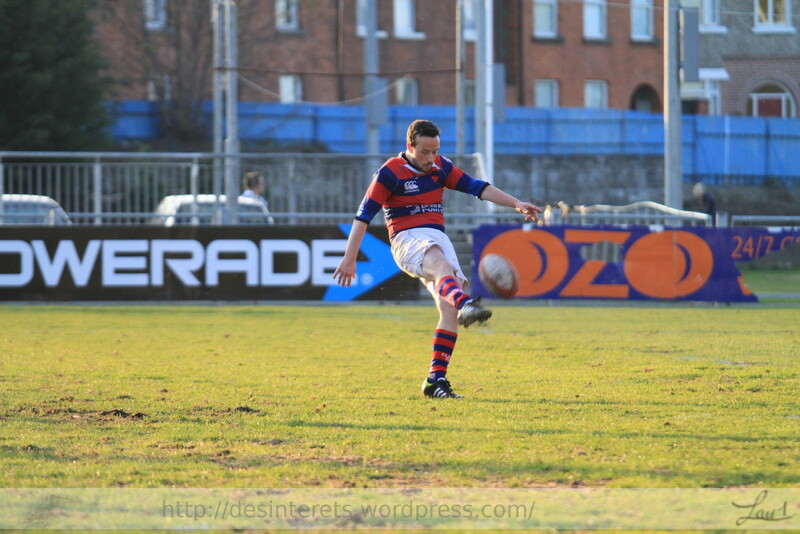 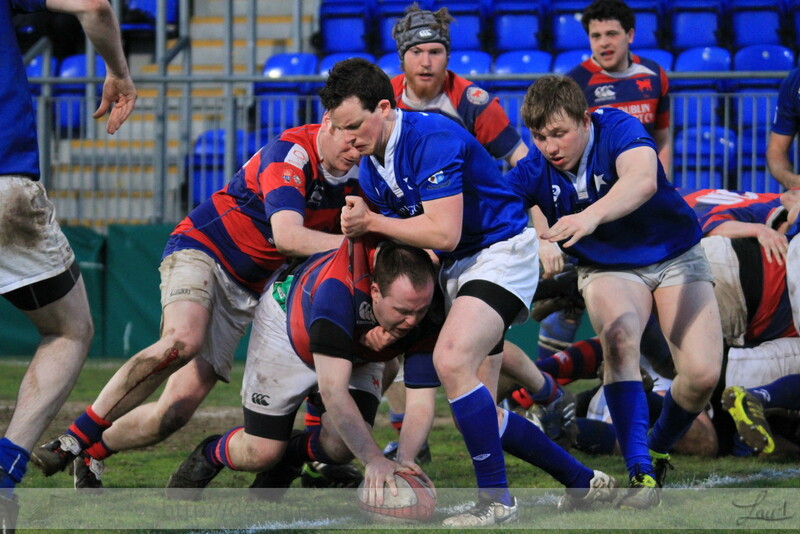 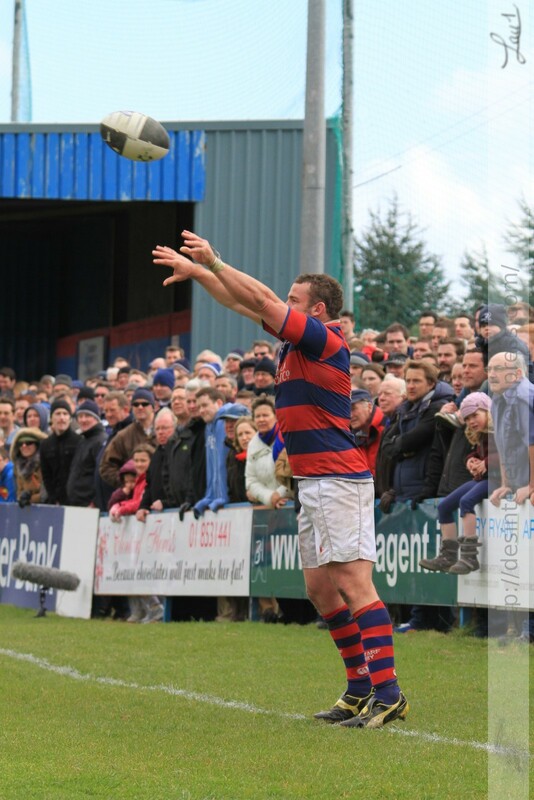 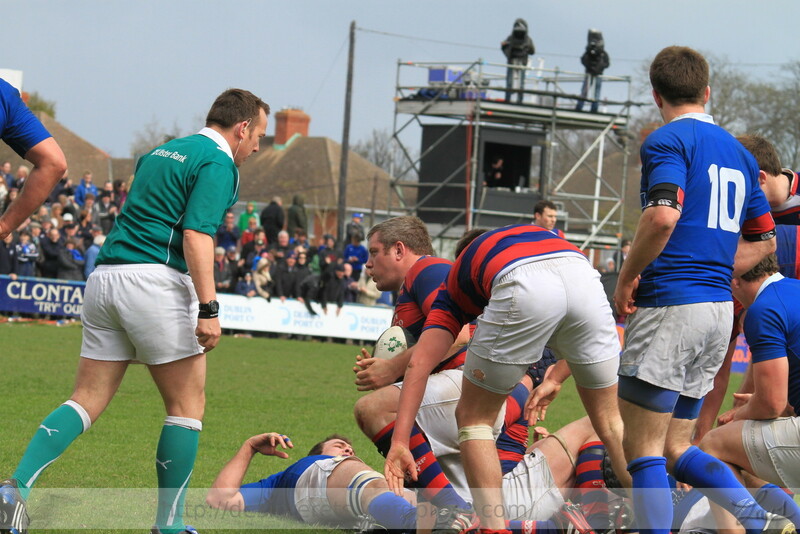 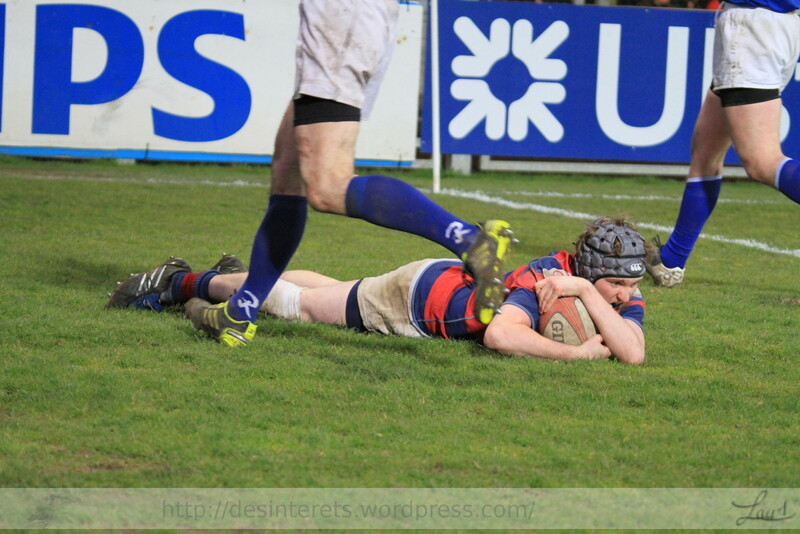 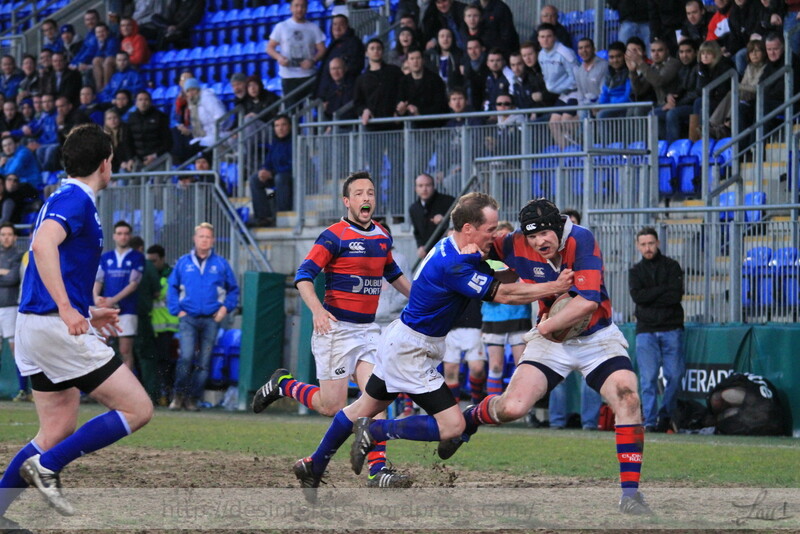 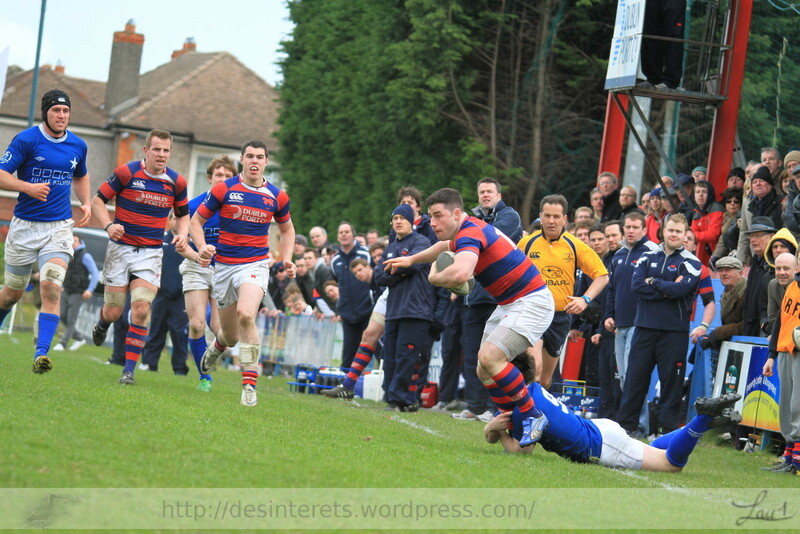 Unfortunatelly for Clontarf a late Try saw Mary’s regain the lead and take the AIL. 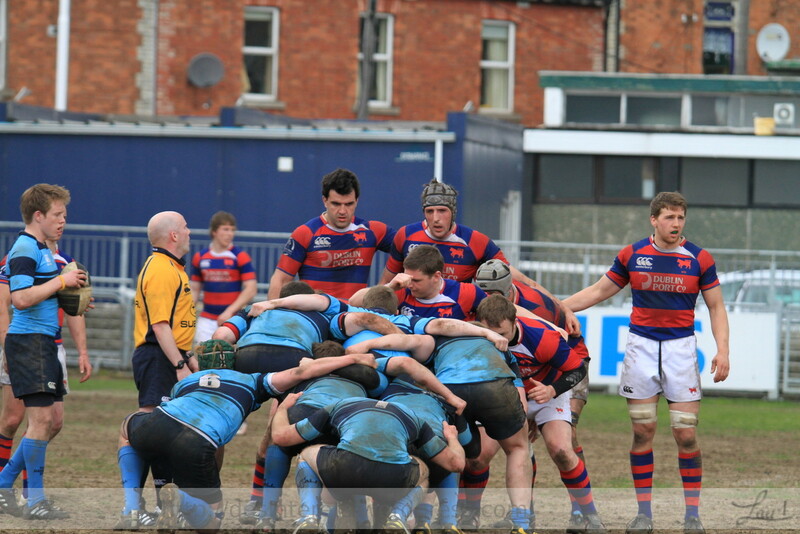 Big crowd in Clontarf to watch the top of the table clash of the AIL. 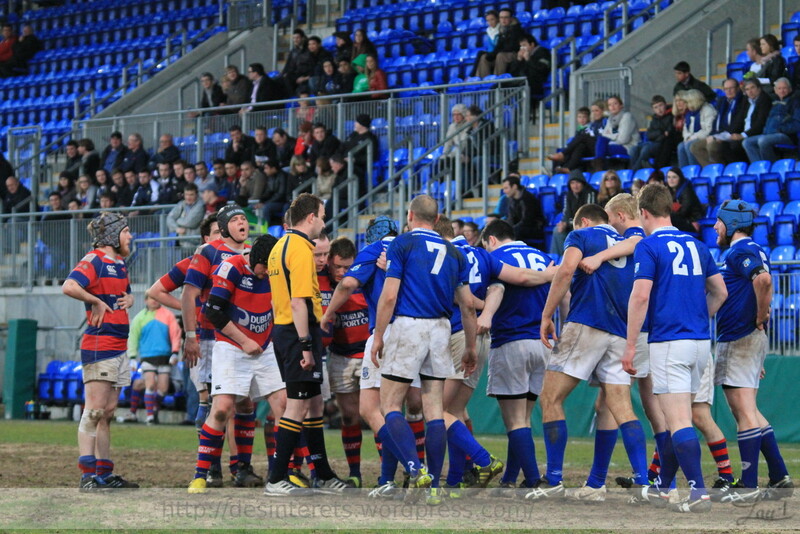 The hosts never got the lead with Mary’s capitalising on every mistake. 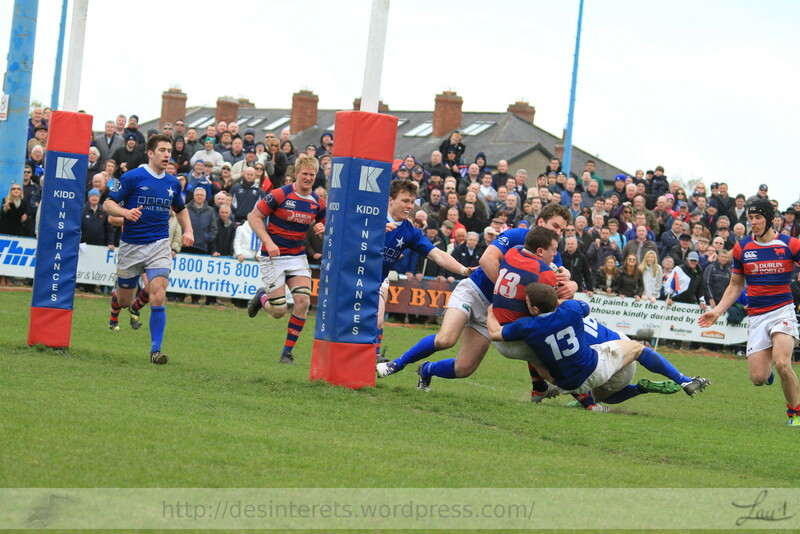 10 minutes of madness sealed the game for the visitors in the second half. 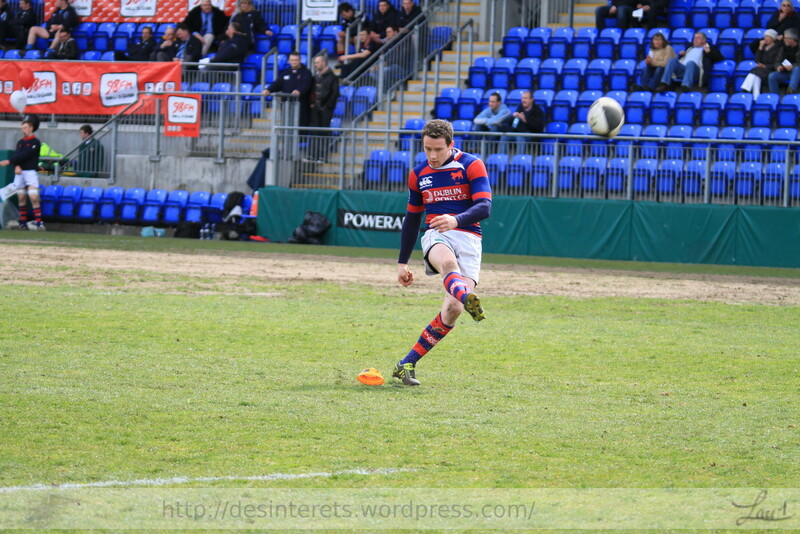 Quelques photos d’une matinée dans l’estuaire de Rogerstown.